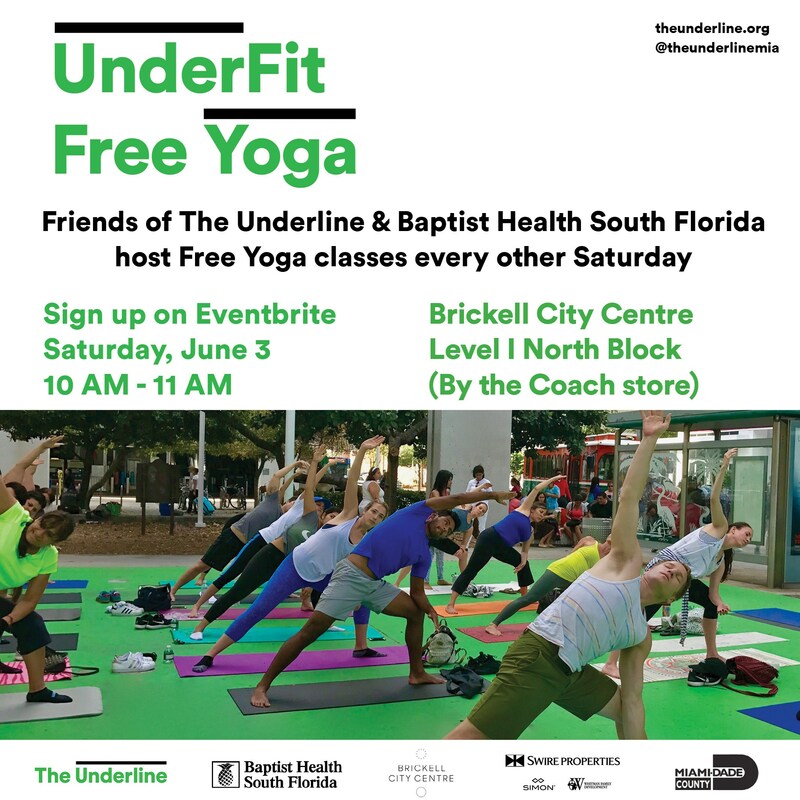 Friends of The Underline and Baptist Health South Florida hosts its UnderFit yoga class and AcroYoga demonstration. 10-11 a.m. Brickell City Centre, Level 1 N Block, 701 S Miami Ave., Miami. Details: http://brickellcitycentre.com/.